Limited to 36 copies, this title was I/4 bound with black goatskin, 6mm chamfered boards and blocked in black , which really worked, creating a very striking look. 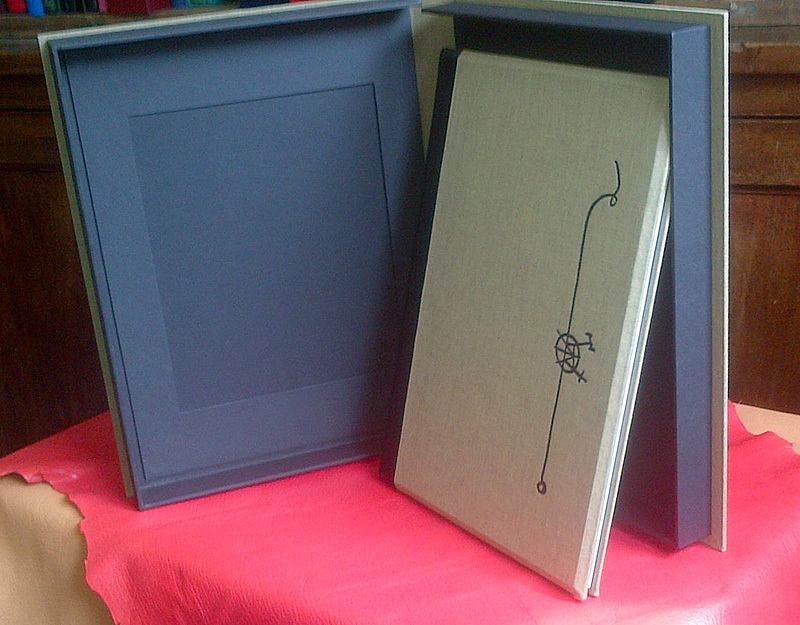 Our customer wished to put a limited edition photograph with the book, so, on the inside front cover of the Solander box, Phil created a frame, using our mount board cutter, then covered it in black and affixed it. This is a very effective way of keeping a limited edition print or photograph safe, and displayed, for the end user.